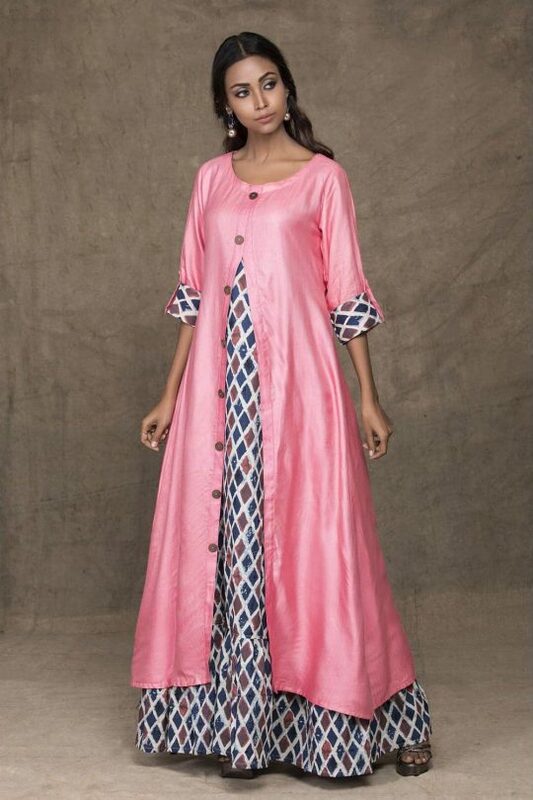 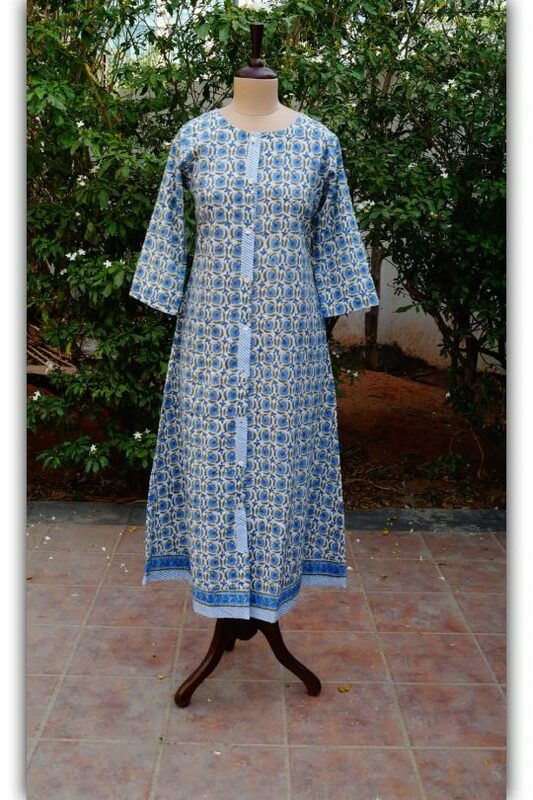 Kessa brings you a gorgeous block-print double-layered dress with front tassels based on chanderi fabric. 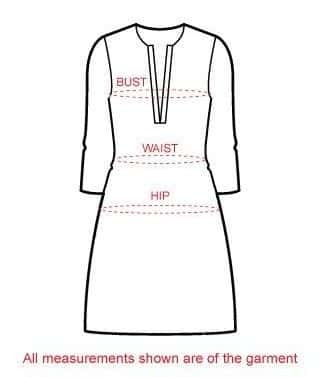 Its border is highlighted with Gota work. 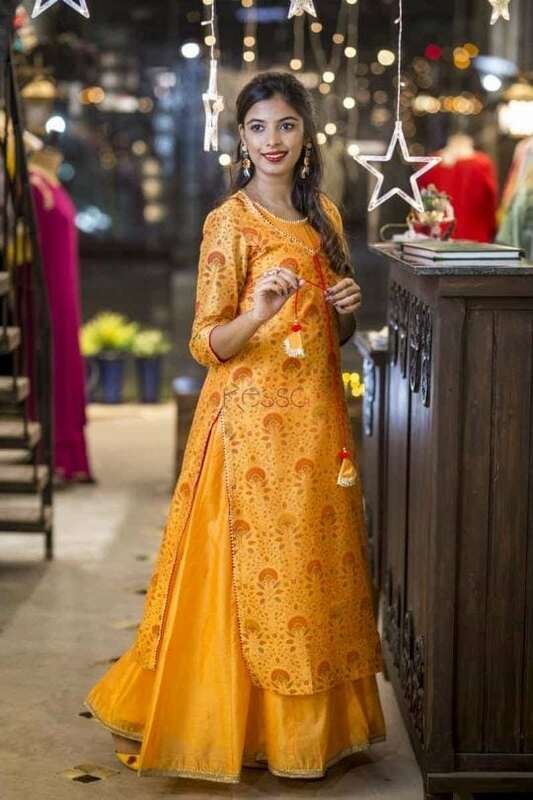 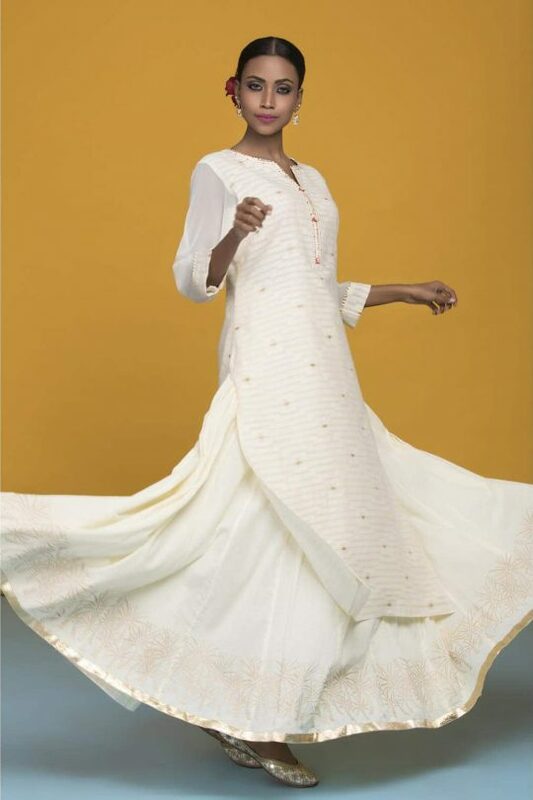 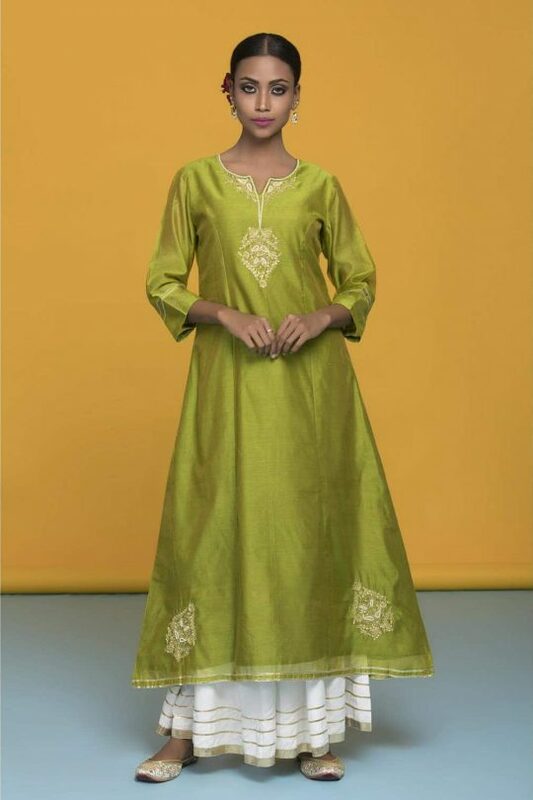 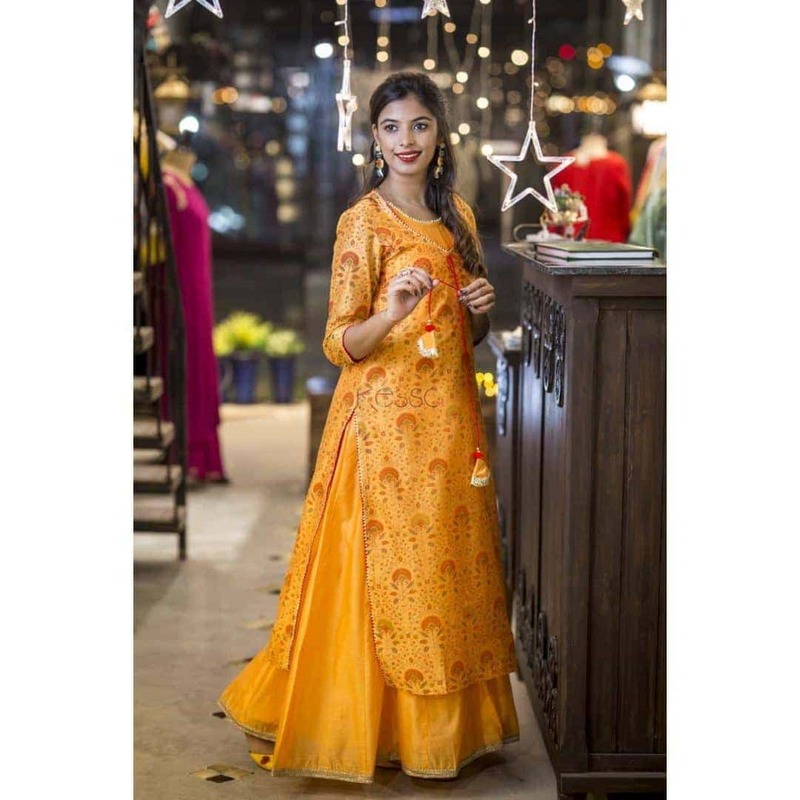 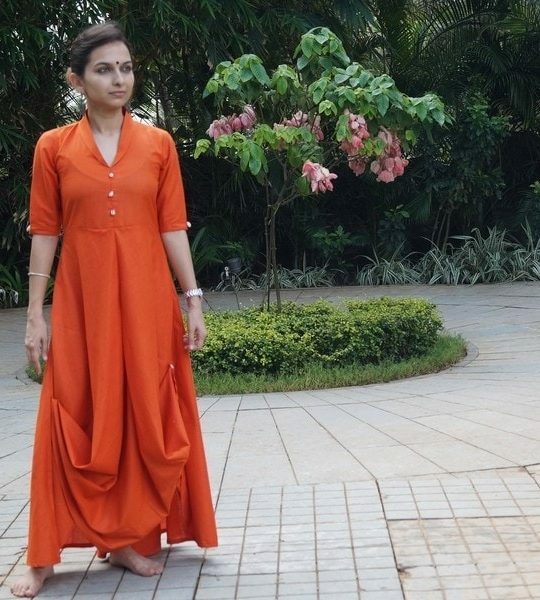 This is a two piece dress with a chanderi based sleeveless inner of 55″ length with attached cotton lining and an outer layer of 48″ length.